With the transfer season looming, coach Ze Maria has provided some thoughts on what he will be looking for during the transfer season. The central midfield area had a gaping hole when Khalid Aucho left. Matters were not helped by the fact that Collins Okoth “Gattuso” was missing in action yet again due to discipline issues. And Ze Maria may have finally reached the conclusion that he needs a dependable player there. In central defence there is a lack of depth. Which means that if either Shakava or Musa Mohamed is unavailable, the defence is in trouble. Last season, Gor Mahia tried to add depth first with Luke Ochieng then with Wellington Ochieng. Ze Maria is also keen to sign players who suit his system, something he was unable to do in 2016. “As you know, I only joined this club after the team had played about four games. Next season I want to be actively involved in preseason and recruitment so that I can be in a better position to make decisions concerning players,” he continued. Indeed some players who played really well in Frank Nuttall’s system have not thrived in Ze Maria’s system. Players like Innocent Wafula and Karim Nizigiyimana come to mind. One of the pillars of Nuttall’s system was lightning quick attacks down the flanks. And this is where Wafula thrived. Ze Maria’s contract apparently runs until February 2018 according to goal.com. Why the club would end a contract in February when the season has already started defies logic. This is contrary to what was announced when he joined and announced that he had a contract until December of 2016. This will be the longest tenure that Ze Maria has had as a coach. His previous coaching stints all lasted six months or less. Gor Mahia will also need to work on expiring contracts: Boniface Oluoch, defenders Karim Nizigiyimana, Abouba Sibomana and Eric Ouma plus forward Enock Agwanda are running out by the end of the year . Of these, Eric Oula is the most in demand from other local clubs. But he has thrived under Ze Maria whi himself was an overlapping fullback in his playing days. He stands to gain a lot by staying at this club until he gets an offer from a foreign league. One player who might feature is Brazilian striker Thiago Da Silva. Not much has been seen from him. However he did play in several friendlies and scored regularly albeit against lower tier teams. Ze Maria is currently holidaying in Italy where he played most of his career and started his coaching career. For the first time, in the club’s history, the list of registered voters will be published. This is an attempt to enhance transparency and assuage any fears about rigging. The voters’ register to be used in the upcoming Gor Mahia elections will be published on Wednesday. The board to oversee the election concluded the scrutiny and verification of the register on Sunday. The long delayed election have now been scheduled for December 11. Club organizing secretary David Kiilo on Sunday confirmed that more than 4,820 people had registered for the elections, and that the deadline for aspirants to register will elapse at 5pm on Monday. Kiilo, who is running for the vice chairman’s position, told Daily Nation Sport that the current office is interested in conducting credible elections under the amended constitution and in accordance with the Sports Act. “There was an elaborate roadmap set by the electoral board and everything is moving according to schedule except for the registration of aspirants which has been extended by a day. “Once the voters’ register is announced and the nomination of aspirants concluded we shall allow at least one week for campaigns. “The election date remains December 11 at the Safaricom Stadium and we are putting everything in place to ensure that the process is free and fair,” he said. A four-man committee headed by Justice Nicholas Ombija was constituted to handle the verification process, although the club confirmed that the actual election will be conducted by an independent body. On a day like this 6 years ago we led a group of Kogalo fans to the first fundraiser to buy club bus. When we initiated the move it sounded like a pipe dream but through team spirit we pulled together and got the bus. It was not the only initiative that we had taken to help the club, we also led a nationwide campaign to get people back to the stadium and they came. We also initiated the replica jerseys and in subsequent games the entire stadium turned green. We formed branches and spread Kogalo fan base across the country. We created the most exciting atmosphere that got the attention of corporate companies that later partnered with Gor as sponsors. If we did all these 6 years ago, don’t you think we can do much more today? Under fire and under pressure Gor Mahia chairman, Ambrose Rachier is defending himself against critics who are blaming him for the fact that Kogalo ended the 2016 season trophyless. Fans have blamed Rachier for the fiasco that ended with coach Frank Nuttall leaving the team in March. Many fans say the root cause of Gor Mahia’s poor performance was the instability that occurred when the club executive committee started to wage war against Frank Nuttall. This resulted in a poor start to the league and early elimination from the Africa champions league. His replacement , Ze Maria does not appear to be having the same success as Nuttall. Meanwhile Nuttall himself appeared headed to Zambian giants Zesco where he may team up with former Gor Mahia aces Anthony Akumu and David Owino “Calabar”. But Rachier is adamant that the club will perform better in 2017. “Gor Mahia is not an exception but we will come back stronger next season and maybe win the league,” continued Rachier. Interestingly, the elections were not held in 2015. Had they been held, Rachier would have run unopposed. Firstly no one would have wanted to run a club that has no sponsor. And secondly Rachier was credited with winning the league unbeaten despite difficult financial circumstances. The Gor Mahia executive committee has upped the ante again. In an unprecented move, the club has announced that aspirants for the Chairmanship position will have to pay a fee of Ksh 150,000. This according to Citizen Sports. According to a press release signed by the board chairman, Retired Justice Nicholas Ombija on Tuesday, candidates for plum positions of the senior vice-chairman, first vice-chairman, second vice-chairman and Secretary General will fork Ksh75,000 each. Organising Secretary and Treasurer aspirants will pay Ksh50,000 with the charges for deputy SG, assistant SG, assistant Organising Secretary and assistant treasurer attracting a fee of Ksh25,000 apiece. The steep fees are sure to raise hackles among aspirants many of whom are already crying foul over what they perceive as the current office holders attempts to hold onto their positions. The press release goes further ti state that members of the club interested in vying for positions should collect forms at the club secretariat in Nairobi between Wednesday and Saturday at 12:00pm local time (+3GMT) and will be required to posses Kenya Revenue Authority Compliance Certificate and Certificate of Good Conduct from police. “All candidates desirous of offering themselves for election are requirements of Leaders and Integrity of the Constitution of Kenya,” the statement read. The Nomination Papers should be returned by November 30 and the Board will publish the verified Voter’s Register will be published on December 1. “The Board wishes to reiterate its commitment to delivering free, fair and transparent election and calls for co-operation for club members,” the communication stressed. The notice to convoke the election was published on Sunday with the recruitment of members and collection of fees elapsing a day later. Below is an interview of Chairman Ambrose Rachier. The Interview was conducted by the Daily Nation. In the interview, Rachier explains why he should be re-elected. Question: Some club stakeholders are of the view that you have had your turn and you should not run. What are you planning to do differently this time round? Answer: I intend to embark on the last of my agenda which stakeholders will recall were; winning the league, returning fans to the stadia, acquiring a club bus, establishing a Sacco for players and members, establishing a functional secretariat, procuring sponsorship, building a stadium and a club house. Q. What would you consider your greatest achievements? A: Winning the Kenyan league title three consecutive times and the procurement of a five year SportPesa sponsorship. Q:. What are some of your unmet goals? A:Putting up of a stadium and club house and establishing a health insurance scheme. Q: With the sponsorships we have, why are there still claims of financial problems? A: Because of the huge accumulated debt over the years. Q: Calls for structured membership seem to be largely ignored. What are your plans? A: Structured membership efforts have been stultified first by lack of understanding of this concept. Secondly, a culture of unwillingness to pay for membership. 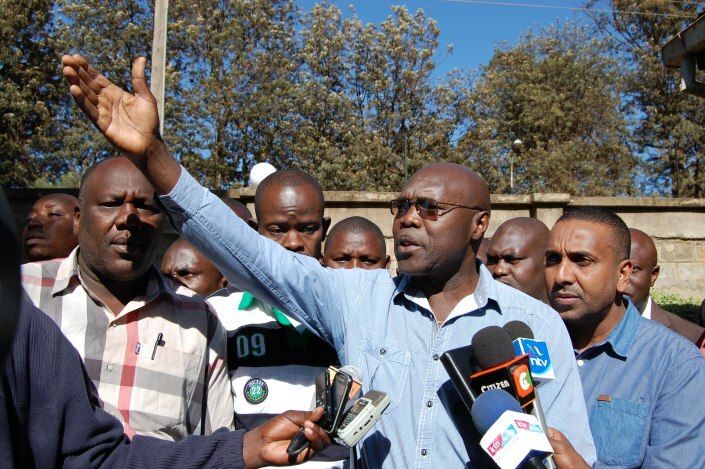 Certain members campaigned against the payment of Sh500. Very few fans were willing to pay their suggested Sh100. Q: Most established clubs are going the seasonal ticket way. Are we headed there? A: Yes we are. We will educate our members on the merits. A: It has been bedevilled by the lack of enforcement of the Kenyan Intellectual Property law that of patents and trademarks. Piracy kills profits. Q: How will you address hooliganism? A: Fighting the vice is the responsibility of the State. Hooligans should be arrested and prosecuted, clubs lack the capacity. Q: What about health insurance for players? A: We are committed to providing a scheme for the players. Q: It’s my opinion that the club is top-heavy, any plans of cutting down on redundant posts ? A: I can’t agree more with you, but our efforts have been vehemently resisted. Q: Where do you see Gor Mahia in the next 10 years? A: Like Barcelona. I returned recently from Spain to learn how Real Madrid and Barcelona operate in the La Liga. 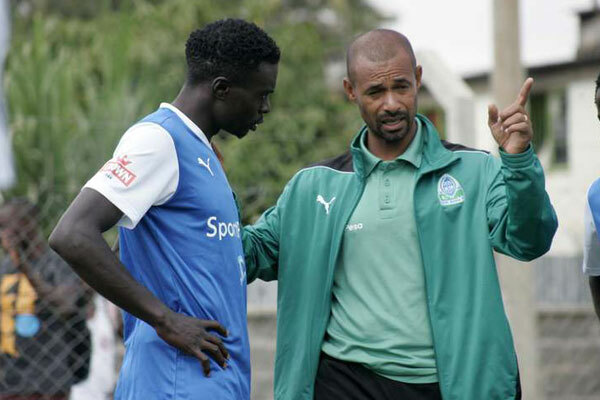 Gor Mahia’s Brazilian tactician, Ze Maria has identified certain players the club must hold onto and also areas of weakness that must be strengthened. Karim Nizigiyimana and Abouba Sibomana, goalkeeper Boniface Oluoch, Eric Ouma and Jacob Keli are some of the players whose contract will be running out at the end of the year. Ze Maria reckons that the club will need to sign at least six players. 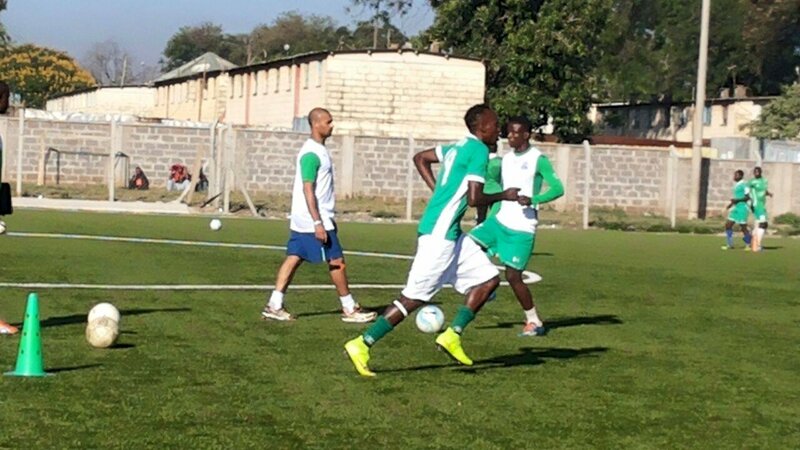 One of the gaping holes in the Gor Mahia setup is at defensive midfielder. Khalid Aucho left a massive hole which has yet to be filled. One player who is almost certain to leave is Baron Jobita. The speedy winger arrived in June but failed to make an impression on coach Ze Maria. Western Stima coach Henry Omino is keen to have his former player back. Okello is largely responsible for helping the brewers win the Kenyan Premier League (KPL) title in the just concluded season. At the beginning of the season, Tusker coach Paul Nkata preferred to rotate goalkeepers and it was not clear who he preferred something that seems to have cost the brewers a lot in terms of consistency. But when Okello took a permanent position between the posts, the brewers hardly conceded goals with the veteran goalkeeper making some outstanding saves. The most memorable was saving a penalty against Sony Sugar at Awendo three weeks ago in a match Tusker won 1-0 and all but confirmed their title credentials. He joined Sofapaka in the second leg of the league but still put in an impressive performance to ensure the 2009 KPL champions survived against relegation. The former Mathare United defender was simply outstanding at the back but he was most crucial whenever Sofapaka got a penalty or free kicks which he easily converted. His most memorable performance was during a 3-2 win against AFC Leopards on October 28 at Machakos Stadium when he assisted in all three goals. It is a performance that rightfully earned him the October player of the month award from the Association of Sports Journalists of Kenya (ASJAK). That a 20 year old prodigy warmed his way into the starting line-up of Gor Mahia will remain one of the stories of this season. Previously unknown Ouma burst into the limelight at the beginning of this season with his impressive ability to bring in crosses from flanks that left everyone awestruck. His ability to assist the team’s striking force resulted in some crucial goals. He was able to also defend well especially against more experienced strikers and easily displaced Abouba Sibomana at the Gor Mahia backline in a performance that earned him a permanent slot in the national team Harambee Stars. Consistent and dependable. He is the reason Gor Mahia conceded the least number of goals the whole season when they let in just 14 goals. 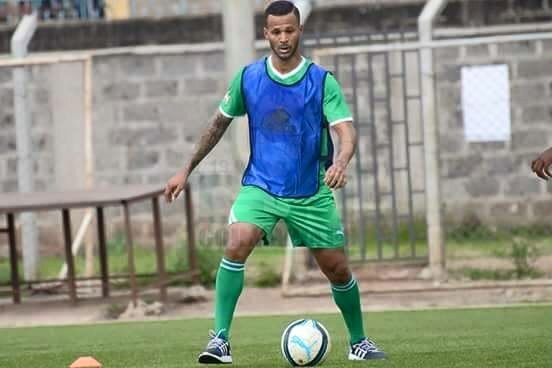 Mohammed started in most of the matches Gor Mahia played in this season showing an impressive ability to avoid injuries and was even the field captain of the former KPL champions. In total Mohammed has played more than 250 matches for Gor Mahia since he joined the club six years ago. In that period Gor Mahia has had atleast three coaches all of him have found him indispensable for his ability to defend well. Like wine which gets better with age, Owino has not shown signs of slowing down. His best year was no doubt in 2008 when he had a permanent placed in the national team Harambee Stars. After that, injury put him out for a long time only to re-emerge at the beginning of this season and re-unite with Mathare United coach Francis Kimanzi who seems to know how to get the best out of him. Owino started in all the 30 matches United played in last season and was cautioned only twice. His big frame at the back was always intimidating to United’s opponents. He scored an impressive eight goals to emerge the top scorer for Mathare United in the just concluded season. He also had several assists to help his side have a strong finish. When dependable midfielder Eric Johanna temporarily left Mathare United to attend trials in Sweden three months ago, the task to marshall the midfield was left to Isuzza and he did a good job of it scoring and providing assists for crucial goals. He has done everything to take over from Johanna as midfielder of the year. He was the youngest recipient of the Association of Sports Journalists of Kenya (ASJAK) monthly award for August and it was not for nothing. He is one of the reasons Stima finished in sixth place with 44 points and were even at some point in the season considered contenders for the title. His artistry in midfield was second to none and his crucial goals like when he scored in August to enable Stima beat Mathare United 1-0 to always kept Stima’s title chances alive. Overall, he made some crucial contributions for the power men and it was therefore not a surprise for him to be called up to the national team. When Mieno wanted to force his way out of Ruaraka in June, the brewers stood firm and for a good reason. The fact that he wanted to join Gor Mahia made it even more difficult for the brewers to let him considering that both teams were fighting for the title. Mieno gave a good account of himself in the Tusker midfield with crucial assists that left many fans wondering why he has always been overlooked by the national team selectors. He is clearly one of the reasons Tusker won the league with a consistent performance in the middle of the pack. He emerged the league’s top score after netting 15 goals and becomes just the second Ulinzi Stars player to do so after Steven Waruru. In total Ulinzi Stars scored 35 goals which means that Makwatta’s goals were important in helping the soldiers finish in third position. The soldiers also finished runners-up in the GOtv shield and even here Makwatta played a crucial role in helping them to do so. The team alongside Tusker will represent the country in next year’s Confederations Cup. Tusker were struggling to score goals before Allan Wanga’s arrival changed all that in the second leg of the KPL. Wanga returned to Ruaraka with a bang. The last time he was there was in 2007 when he won the KPL title with Tusker and also emerged the top scorer. His second return saw him help the brewers not only win the KPL title but also the GOtv shield. His goal in the GOtv final made all the difference. He also scored in the season ender against Gor Mahia to cap a memorable season not only for the club but for himself as well which ended with a call-up to the national team Harambee Stars. 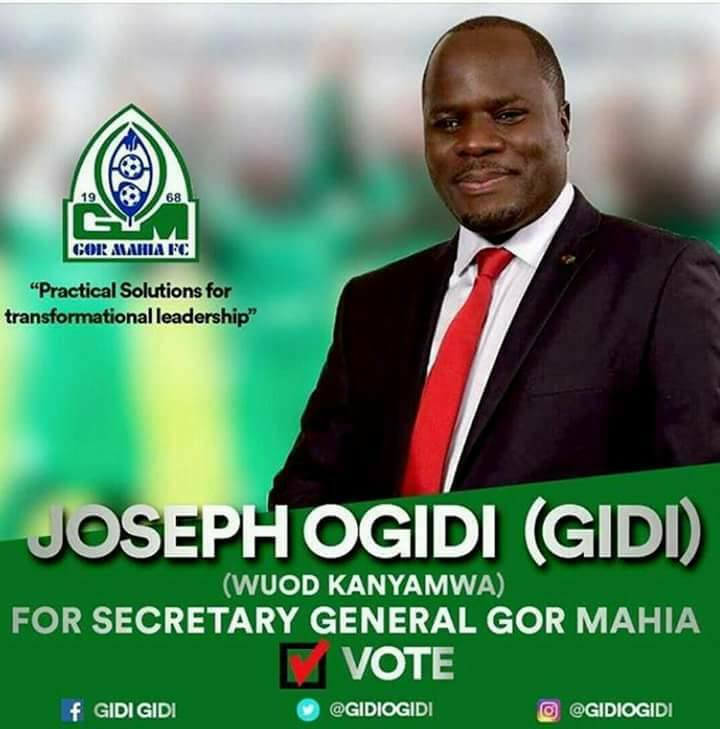 He will be disappointed that Gor Mahia did not win a fourth consecutive title for that is why the former KPL champions splashed Sh4million to buy him. He will also be disappointed that his ten goals will not give him the golden boot as he finishes fourth on the top scorer’s list behind Makwatta, Wycliff Ochomo and Kepha Aswani but will take consolation in emerging his club’s leading scorer in the first season. Tuyisenge looks to have been let down by inconsistency but his performance when he was at the top was outstanding. 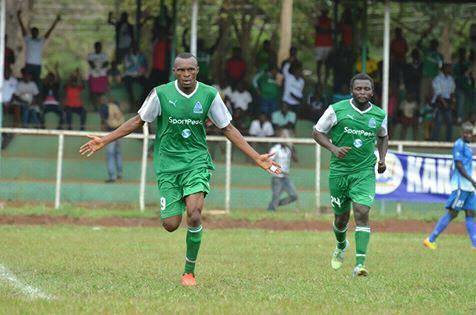 He brought many tears of joy to Gor Mahia fans with some of his goals. His best is yet to come though. Ze Maria believes he can build on his performance to achieve a better performance in 2017. Gor Mahia ended their season losing 0-1 to new champions Tusker. Tusker FC won by a solitary goal scored by Allan Wanga in the 76th minute. It was the Green Army who started the match on a high note winning a corner in the third minute, but the hosts failed to capitalize on it. In the tenth minute, Robert Omunuk was fed well by Jackson Macharia, but the former champions were saved by an offside flag. Five minutes later it was Erick Ouma commonly known as Marcello who failed to keep his composure to blast wide despite a fine pass by Francis Kahata. Both teams continued to push for an opener, but no team was able to hit the target. Meddie Kagere and Jacques Tuyisenge continued to press the brewers but the champions’ defense led by Martin Kiiza did the best to keep the opponents at bay. It could have been 1-0 in favour of the hosts in the 42nd minute, but Collins Okoth missed a glorious opportunity as his left footed shot went wide. After the break, Paul Nkata’s charges came back stronger and could have gone ahead in the 57th minute, but Michael Khamati’s goal bound effort was cleared off the line by Haron Shakava. In the 65th minute, Kahata missed the target by several inches as his fierce effort came off the woodwork with the goalkeeper well beaten. It was a costly miss as the brewers took the lead in the 76th minute. The visitors won the free kick in a promising position, and Allan Wanga made no mistake. The result means Gor Mahia end the season seven points behind the champions who will now represent the country in the 2017 Caf Champions league. Gor Mahia: Sammy Okinda (GK), Karim Nizigiyimana, Abouba Sibomana, Musa Mohammed (CPT), Harun Shakava, Collins Okoth, Meddie Kagere, Francis Kahata, Godrey Walusimbi, Eric Ouma, Jacques Tuyisenge. Subs: Gradus Ochieng (GK), Wellington Ochieng, Innocent Wafula, Amos Nondi, Jacob Keli, Chrispin Odula and Baron Oketch. Tusker: Dancun Ochieng, Osborne Monday, Shafiq Batambuze, Martin Kiiza, Lloyd Wahome, Humphrey Mieno, Jackson Macharia, Cecidy Mulumba ,Danson Kago , Luis Khamadi and Robert Omunuk. Subs: David Okello, Collins Shivachi, Clifford Awanga, Stephen Owusu, Allan Wanga and Eugene Asike. Gor Mahia’s Brazilian coach Ze Maria has credited his players with a positive display that enabled him to bag the Sports Journalists Association of Kenya (SJAK) coach of the month award for August. Gor Mahia will take on Tusker on Saturday in the final match of the season. Though out of contention for the title, Ze Maria has vowed to ensure that the team ends the season on a high to build for next season. “We are aiming to finish the season on a high, by winning our remaining match and finishing with as many points as possible.” he said. Gor Mahia coach Jose Marcelo ‘Ze Maria’ Ferreira was voted Kenya Premier League’s coach of the Month for October. He was selected ahead of Tusker’s Paul Nkata and Sofapaka’s John Baraza. Gor Mahia had a good run in the month of October, reviving their KPL title aspirations by beating Mathare United and arch rivals AFC Leopards 2-0. This was after a run of poor results that saw Gor Mahia record numerous draws with teams like Sofapaka that put paid to their league title hopes. Ze Maria had been under harsh criticism from many quarters who wanted him out at the end of the year with many clamouring that if a new Chairman is elected, his first task should be to bring back coach Frank Nuttall. But the late run may has assuaged many fans. Indeed he may have won the league had it not been for 3 points being deducted for hooliganism. As a result, Ze Maria will likely be back in 2017.